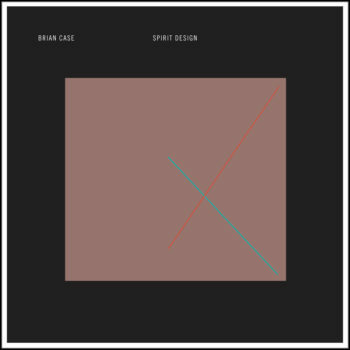 Only a year after his debut solo album with Hands in the Dark, Brian Case (90 Day Men, Acteurs, Bambi Kino Duo, Disappears) is back this August with Spirit Design. The record consists of ten new experimental tracks of concrete dub and electronic wizardry. This sophomore solo record is drastically different from the Chicagoan’s first opus, Tense Nature. Case has added vocals and more beats to his compositions, putting together an album that promises and lends itself to a loud, moving live experience. Although in ways it is more experimental, listeners will find this follow-up more straightforward than his previous work. 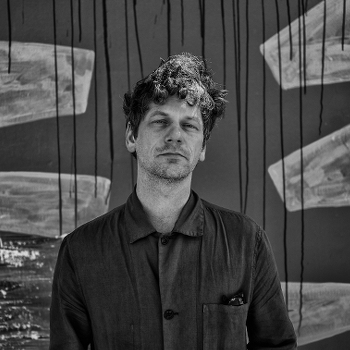 Nonetheless, one element of Case’s compositions that has been carried across into the new work is his signature ability to create a unique, self-contained sound sphere within each track. Each track in turn by turn transporting the listener into a different ambient universe, yet still all coming together to form a coherent whole. This is arguably Case’s trademark musical gesture, and one that has kept us here at HITD hooked.